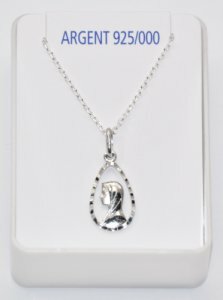 DIRECT FROM LOURDES - Our Lady of Lourdes Necklace - 925 Sterling Silver. Our Lady of Lourdes Necklace - 925 Sterling Silver. Length of medal: 16 mm.